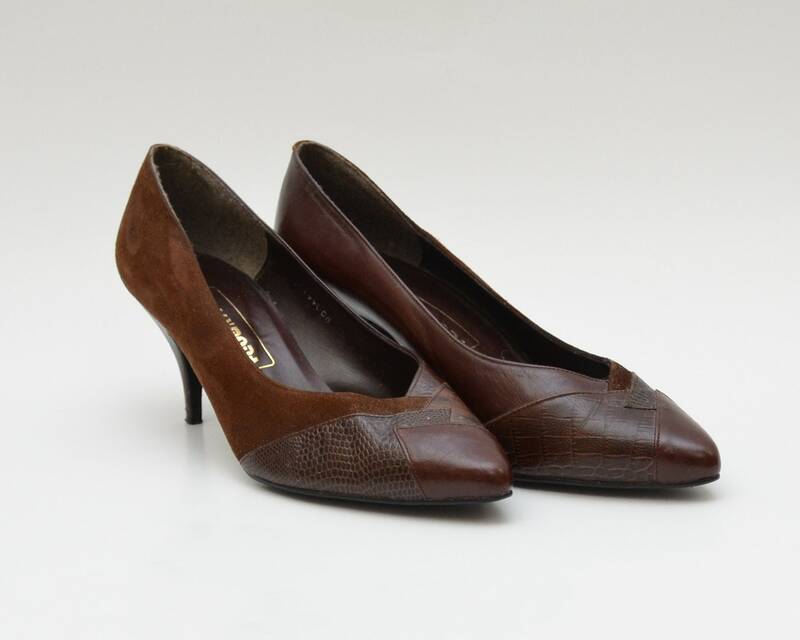 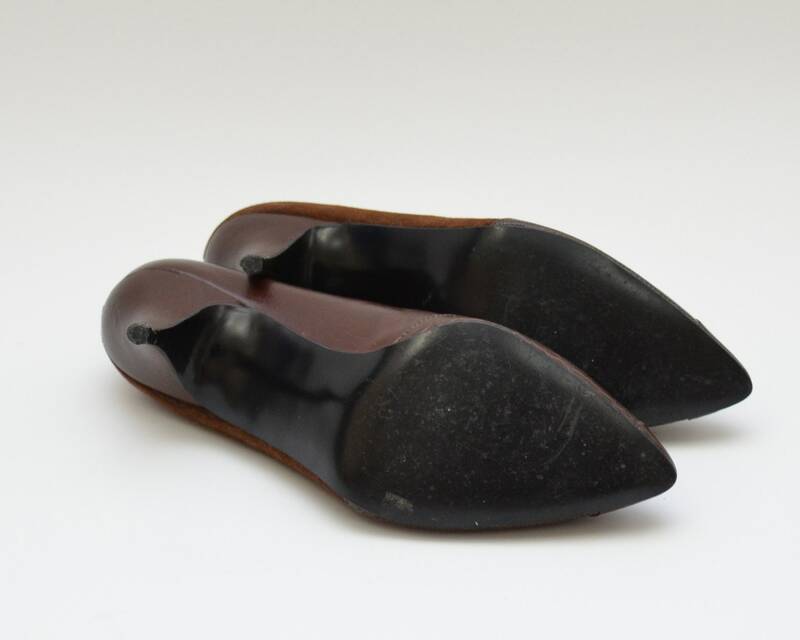 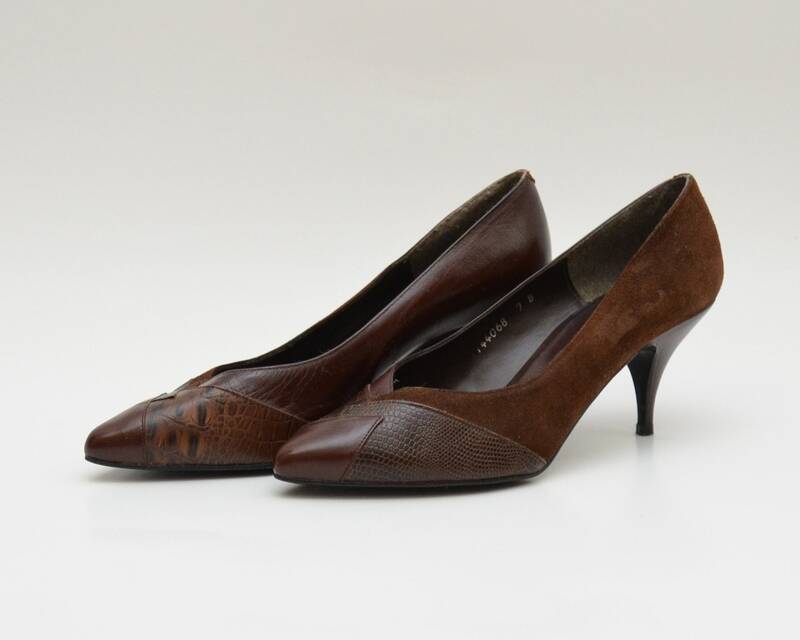 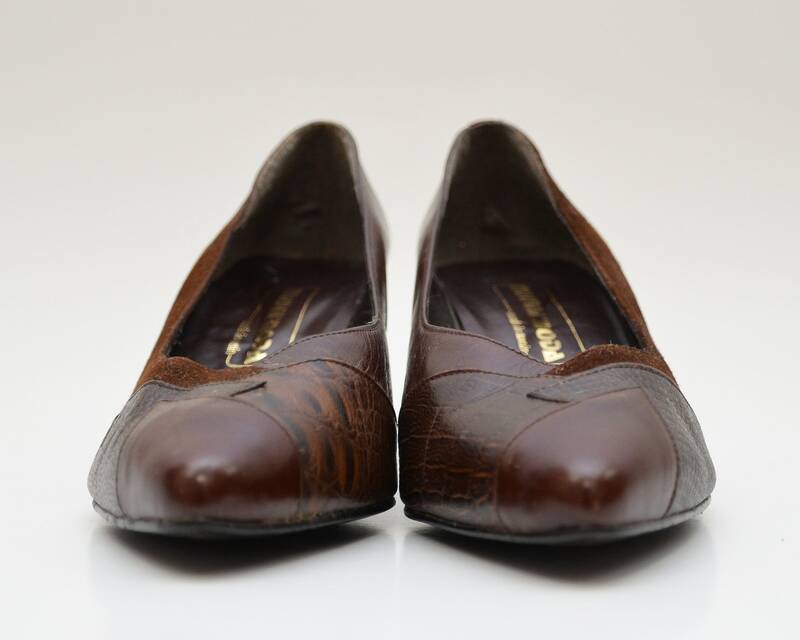 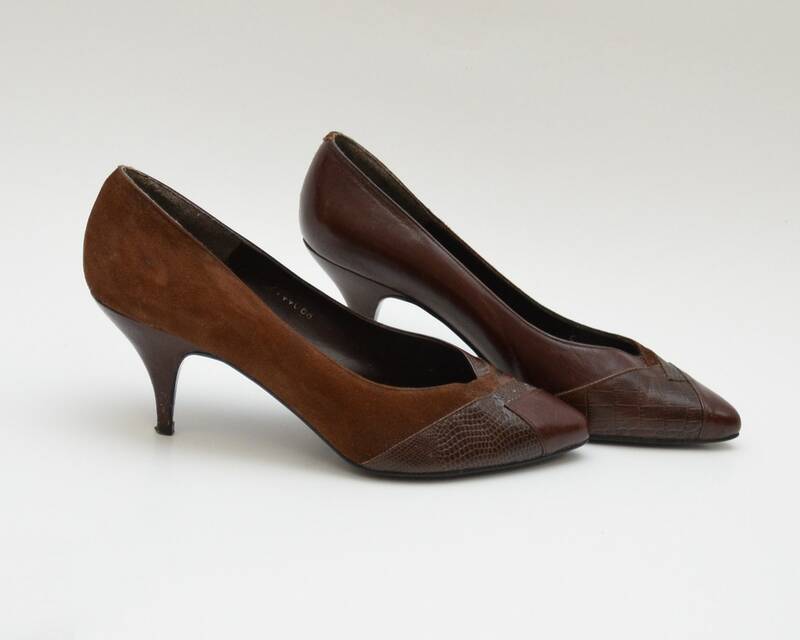 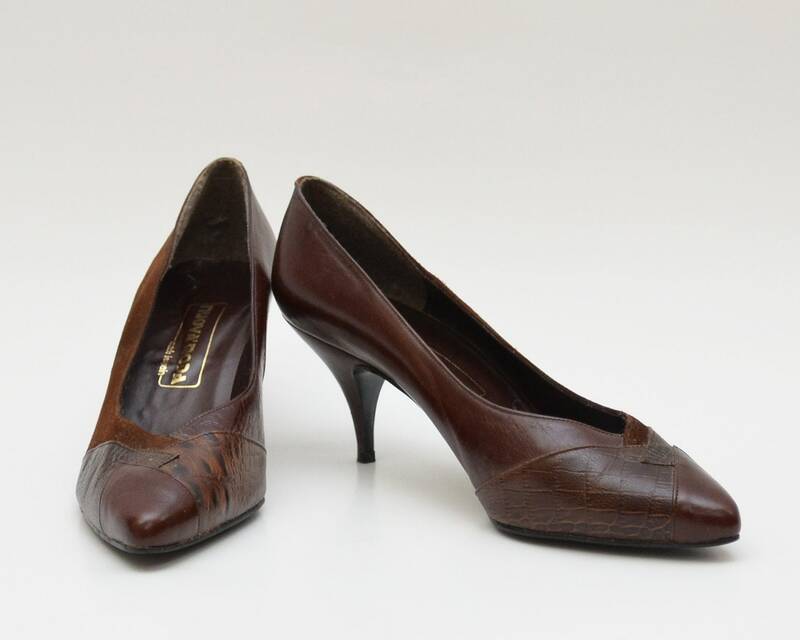 A fabulous pair of pumps made from supple brown leather and suede patchwork. 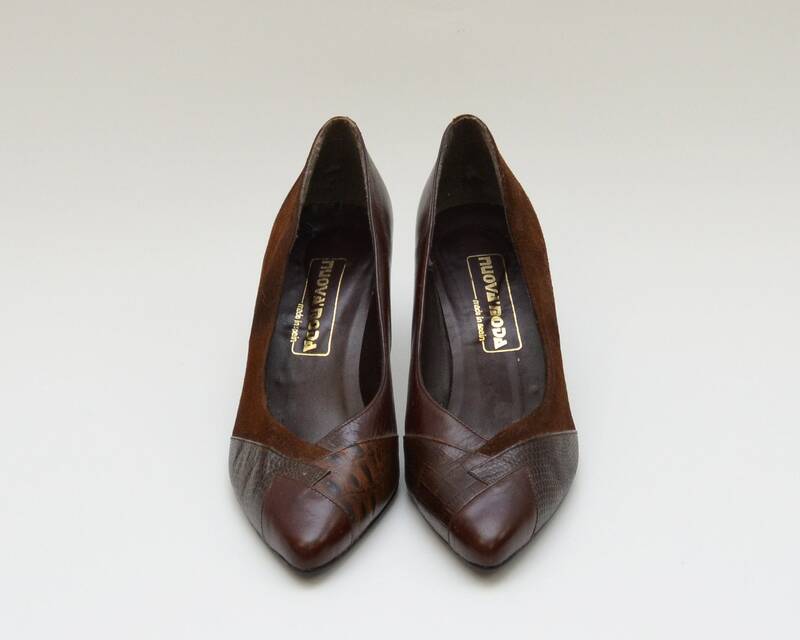 Each shoe is slightly different than the other because of this patchwork. 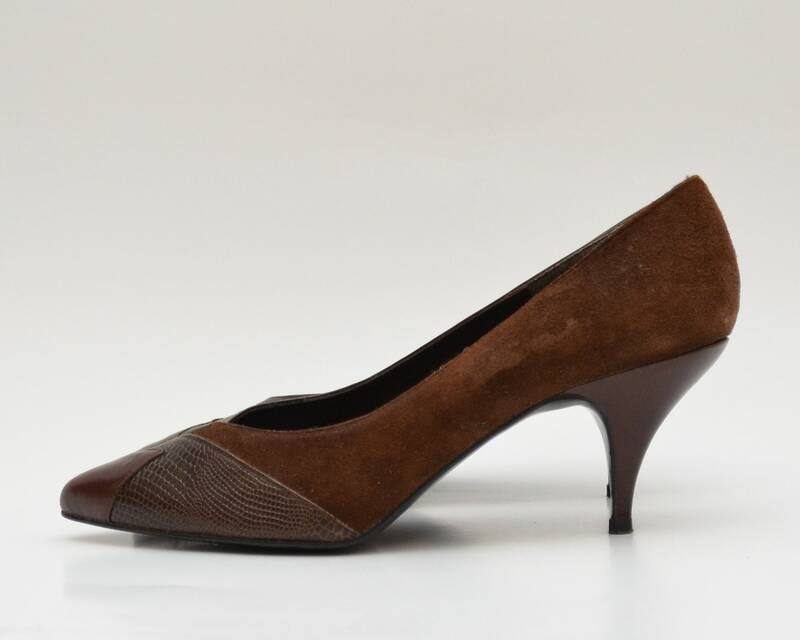 Very minor scuffing, mostly around the right heel. 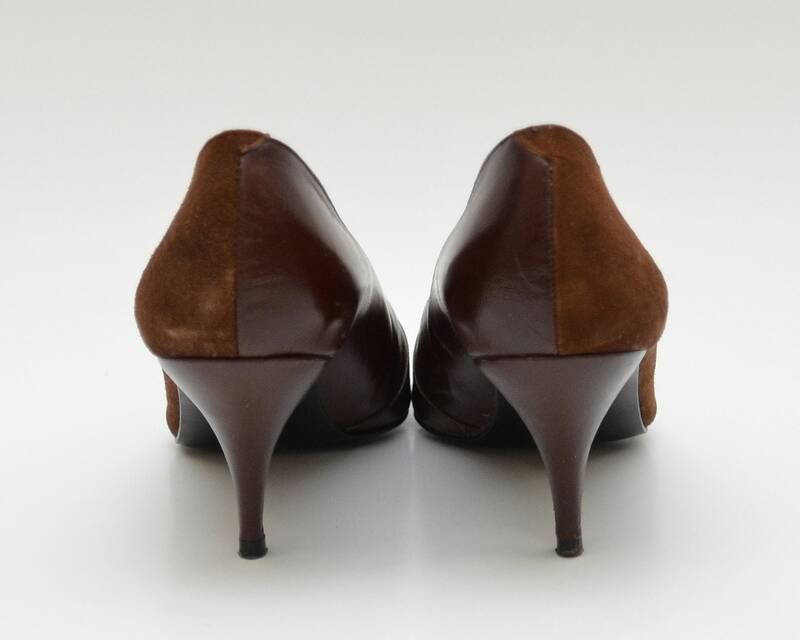 Both heel taps look good, but one (right) may need to be replaced after moderate wear.